Loudoun Sheriff’s Office detectives have released video surveillance stills of three suspects involved in yesterday’s robbery at a Sterling ABC store. The suspects entered the store on South Sterling Boulevard at 1:26 p.m. Nov. 29 and waited for customers to leave before they grabbed several boxes of liquor. As they fled, a clerk attempted to stop them. One of the suspects hit her in the head with a bottle. They were last seen running to a dark-colored vehicle with a possible partial tag of “2907” (unknown state). 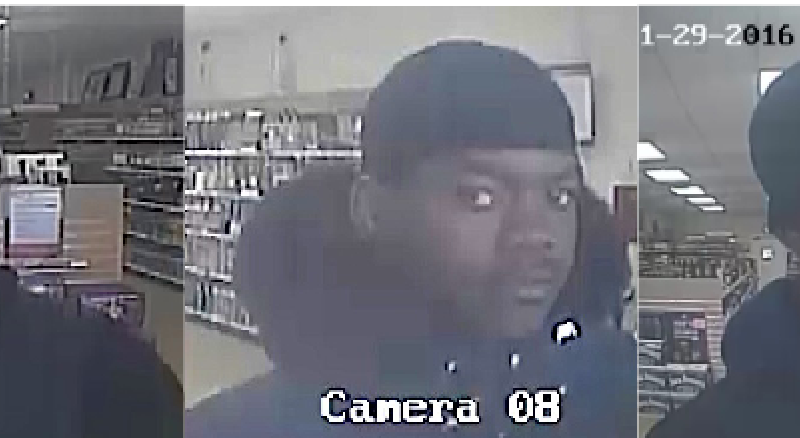 The suspects are described as three black males approximately 5 feet 9 inches, to 6 feet tall. They were wearing dark jackets and dark-colored caps. Anyone with any information is asked to call the Sheriff’s Office at 703-777-0475 or submit a tip through the agency’s app, available on the iTunes App Store and Google Play.